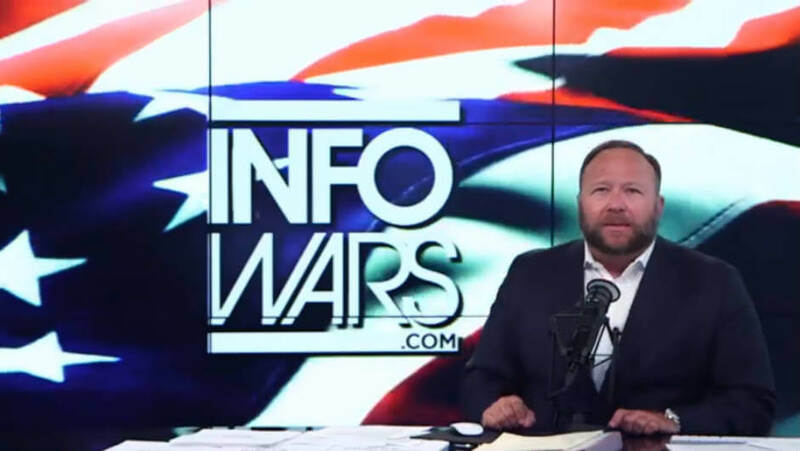 Did Spotify, Apple, Facebook, YouTube have the Right to Ban Alex Jones? Did Spotify, Apple, Facebook and YouTube Have the Right to Ban Alex Jones? Earlier this week, Apple announced that it had removed all of Alex Jones’ War Room and Alex Jones Show episodes from its Podcasts app. The reason given was the shows had engaged in “hate speech”, therefore violating Apple’s guidelines. Facebook and Spotify swiftly followed suit, with the social network removing four pages associated with Alex Jones and Infowars: the Alex Jones Channel Page, the Alex Jones Page, the Infowars Nightly News Page and the Infowars Page. Spotify removed all episodes of the Alex Jones Show after removing some episodes last week. Again, both companies stated that the shows had violated their hate speech guidelines, among other infringements. Reaction from the alt-right and conspiracy theorists who make up a large part of Jones’ audience has – perhaps unsurprisingly – been vicious and unyielding. Well known alt-right figureheads have been claiming politically motivated censorship, and infamous subreddit r/the_donald has seen many users claiming that this is part of a plan to elect a majority-Democrat House of Representatives at the upcoming midterm elections to impeach Donald Trump. However, it’s worth noting that while the Facebook pages, YouTube videos and Spotify podcasts were hosted by these platforms and have, therefore, been removed, Apple’s podcasts app functions slightly differently. It hasn’t stripped them from existence online – rather, it functions as an indexing-service. This means that while Jones’ podcasts are no longer searchable or findable on the Apple Podcasts app, they can still be added via a URL. Why Were Alex Jones and Infowars Removed? As we mentioned above, the crux of the issue was the companies objecting to the instances of hate speech in the podcasts and on the pages. However, the InfoWars app is still available to download from the Apple App Store. “We believe in giving people a voice, but we also want everyone using Facebook to feel safe. It’s why we have Community Standards and remove anything that violates them, including hate speech that attacks or dehumanizes others. Earlier today, we removed four Pages belonging to Alex Jones for repeatedly posting content over the past several days that breaks those community standards. Twitter (and its live streaming subsidiary, Periscope) remain the only major social networks not to remove Alex Jones and Infowars from their platform. Jack Dorsey, Twitter’s CEO, confirmed in a Twitter thread why Jones hasn’t been removed from the platform. Many smaller companies have also removed Jones’ content including podcast app Stitcher and Pinterest. There is still an Alex Jones subreddit, but it only has 2.8k subscribers and has recently changed moderator. Did these Companies have the Right to Ban Alt-Right Content? Of course, any user that signs up to publish content on any of these platforms signs up to abide by their community guidelines – whether that’s Alex Jones, traditional media companies like the New York Times or individuals like me or you. However, given the way that these tech companies – Facebook, in particular – have become major news and information dissemination channels in recent years, some have speculated whether these companies have an obligation to only provide access to legitimate or obviously satirical news stories. Others, including Donald Trump, have conjectured that large tech companies actively censor right-wing posts and accounts through measures such as shadow-banning (for the avoidance of doubt, this simply isn’t true) – and should be compelled to provide what they consider to be equal and open debate. So did these companies have the right to remove Alex Jones and Infowars’ pages? Yes. Even if we ignore the contravention of each company’s community guidelines, these companies need to abide by hate crime laws passed in 1968. The laws made it a crime to “use, or threaten to use, force to willingly interfere with any person because of race, colour, religion, or national origin” when participating in a federally protected activity. The 2009 Matthew Shepard Act expanded the provisions of this law by removing the federally protected activity clause – effectively outlawing anyone from inciting hate-based violence. By not removing these posts, these tech companies could, potentially be seen enabling Jones and Infowars to violate these two laws. Infowars and Alex Jones have obligations as publishers under US law to some semblance of accuracy and accountability as a result of a Supreme Court Case, Gertz v. Robert Welch, Inc. 1974. In 1969 a Chicago police officer, Richard Nuccio, was convicted of murdering 19-year old Ronald Nelson. Elmer Gertz was the attorney chosen to represent the victim’s family in the court case to prosecute Nuccio. 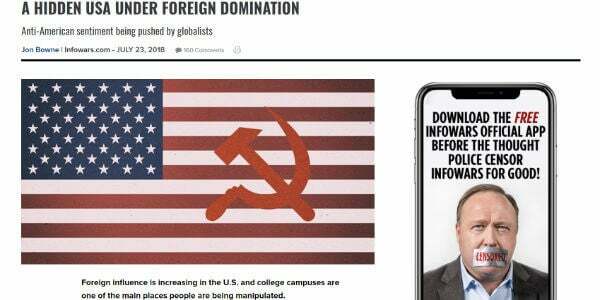 However, following the case, a magazine called American Opinion, ran articles claiming that Gertz was part of a communist conspiracy to discredit state and local police forces to facilitate the creation of federal, and therefore more controlling, police force. Gertz was, understandably, not at all happy with the assertions and took American Opinion’s owner, Robert Welch, to court. After losing the case at the Court of Appeals, Gertz appealed their decision and it was taken to the Supreme Court where they took Gertz’s side – albeit by a 5-4 margin. This court case set out that “A publisher or broadcaster of defamatory falsehoods about an individual who” isn’t “a public official nor a public figure” may not use the New York Times protections which established that public officials or figures couldn’t sue publications for defamatory or libellous statements as they may have been in the public interest – instead they could only be redacted. 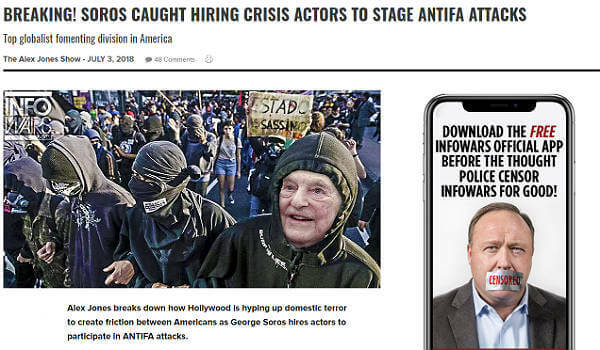 Clearly, when Alex Jones talks about George Soros hiring actors to participate in ANTIFA rallies – he is liable to prosecution and, these tech companies hosting the content, could potentially be implicated as well. In short, no, it isn’t censorship. Regardless of whether these companies have obligations to tolerate all views or not, this content is still available online and still easily accessible. All that has changed is the number of different mediums through which it is accessible. We are not living in China, with its government actively censoring search results. It is, however, easy to see why some would see this as a targeted campaign of censorship given the speed with which successive tech companies remove Jones and Infowars’ content. Given Jones and his acolytes’ predisposition to conspiracy theories, it shouldn’t be surprising that they are speculating another is at play. However, it is more than likely true that all of these companies were aware of Jones’ activities, and will have received countless reports of content posted by his accounts that contravened their policies, but were instead waiting to see who was going to take the leap first. Even if there was a conspiracy at play to censor Jones, surely his presence would have been removed from Twitter as well? Twitter has, in the past, banned a notoriously racist and conspiratorial group from the UK known as Britain First, as well as former alt-right darling Milo Yiannopoulos – so it’s clear that there’s no wide-ranging effort at play here. One defence used by peddlers of Alex Jones and Infowars’ type of content is that they are protected by the First Amendment – the inscribed right that protects freedom of speech. However, again, this simply isn’t the case in a scenario wherein a brand such as Facebook removes content from its platform. The First Amendment states that “Congress shall make no law… abridging the freedom of speech, or of the press”. Given that no law has been passed, and that Facebook and the like aren’t actually Congress anyway, the First Amendment simply doesn’t apply here. Should These Companies Remove the Content? This, unfortunately, is a more difficult question to answer. However, there will always be the counter-argument that posits that if these ideas are so dangerous, perhaps it is better to keep them out in the open, but regularly debunk them and prove that they are wrong with reasoned discourse. The latter, frankly, feels like the wrong approach especially in light of the way fake news – of which Jones is publisher of par excellence – has been used to influence the voting public in both the US and the UK in the 2016 Presidential Election and the Brexit Referendum campaign. In fact, the Pizzagate and Qanon conspiracy theories – which are still popular and widely believed among the right-wing in America – have both led to violence. Removing content publicising these, has to be the responsible thing for a tech publishing giant to do, surely? Update 8/8/18: Added Twitter statement from Jack Dorsey.